On tap and served in a “handle” at Ratbags in Dunedin, NZ. 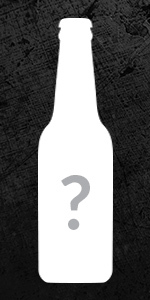 A: A typical pilsner: pours golden amber with streams of small bubbles. Excellent clarity. Decent head. Aroma: typical in both quality and strength. More hops than grains. Flavor: the triple hops may add some complexity and balance but this is less hoppy than most pilsners. Feel: medium body; nice crisp carbonation. O: a decent but unimpressive pilsner that’s poor in comparison to the Emersons Pilsner I had earlier in the day.